How to set up or edit your admin users. There are a number of areas where you can add images and videos in EduMe, whilst there are some restrictions on file types here we also offer some recommendations to deliver the most effective media for your users. 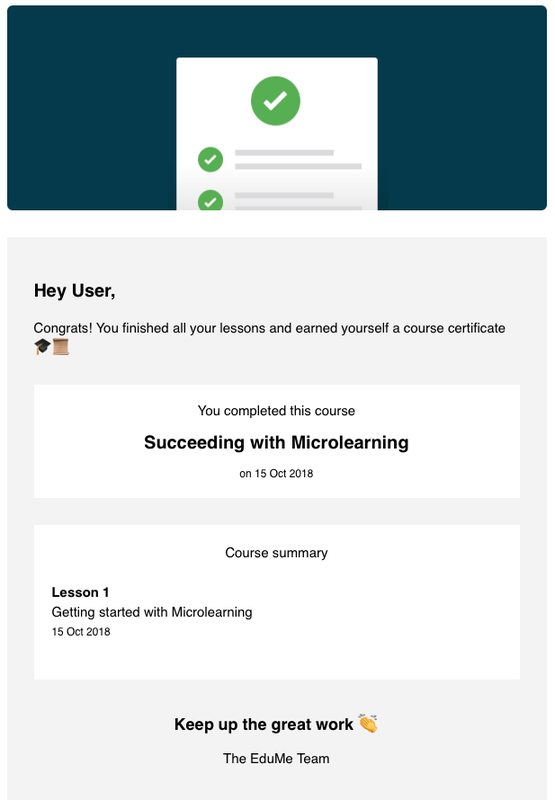 How to switch on the course certificates? PLEASE NOTE: Course certificates are only available for users whose EduMe accounts have been created using their email addresses. What security requirements do users have to follow? How do new users activate their accounts?